So, we’ve returned to Facebook Live and I’m on home dialysis, so I have a little more energy. I now have a hookah pipe tube of sorts implanted in my stomach, and I exchange fluids from my body four times per day, seven days per week. Don’t forget that you get a free pair of Yarmulkes with every bandeau you buy! I’m still in need of a kidney to save my life . . . Statistically, the average life span for people on dialysis is about 5-years. Maybe I’ll be one of the lucky ones who can be on dialysis for years and years, but you never know. Sift dry ingredients into bowl. Pour oil and milk into one measuring cup, but do not stir. Dump into flour mixture; mix with fork until cleans side of bowl. Form into ball; divide and roll between two pieces of wax paper. Mark’s Tip: Find an old slab of granite or marble and use as a cool rolling surface for pie crusts and cookies. I find it makes a huge difference in my baking experience. Mark’s Tip: Roll using POWDERED SUGAR instead of flour for pie crust. Mark’s Tip: Dissolve a teaspoon of sugar into warm milk and brush it on your raw pie crust to get a golden brown top. I joined my local chapter of The Embroiderers’ Guild of America ! I belong to the Skylands Chapter. Our meeting at the Redeemer Lutheran Church, Succasunna, NJ on the First Sunday of the month, at 1:30 p.m. It’s a nice, healthy, and talented group of stitchers with a lot of needlepointers, cross stitchers, knitters, and 1 male quilter. I shared my copy of, Needle Arts, which is the quarterly publication of The Embroiderers’ Guild of America in which you will find articles on the history and preservation of embroidery, information about correspondence courses and other educational projects that might interest you, national and chapter news, and other assorted items of interest. A subscription to the magazine is a part of your annual dues. The Embroiderer’s Guild of America offers a wonderful variety of programs that are not only educational but interesting and fun. The education catalog, which you will receive as part of your membership describe each of the programs in detail. There are tons of all online courses so that you can have availability to classes on your own schedule. Offered recently were classes and goldwork, stump work, beating a crazy quilting. Course instructions and/or supplemental instructions are posted online and each group has its own password protected discussion area for lessons questions/answers for the participants. EGA also offers group correspondence courses in various techniques like beating, campus, white work, blackwork, stumpwork, crewel, tamari and many other techniques. Each quarter, several of these courses are selected as Lightning Rounds which allows individual members to sign up and take the course of the group of one! You will have 4 to 12 months to work for lessons and at the end of that time, you have the option of sending your piece to the teacher who will evaluate your work, comment on pieces you have done well and make suggestions for those pieces that could be better. If you completed the piece and sent it for evaluation, you will receive a Certificate of Completion. Lightning Rounds are announced in the inside EGA section of the Needle Arts magazine. Have you ever wondered what blackwork is, or Brazilian embroidery, or hardanger, or any of a number of other techniques? Check out the 60+ petite projects on the website under the members only site, once you join. These projects are original designs that are donated for your use. Each one is designed for a class of 2 to 3 hours although some will take longer. You will learn the technique through stitching the project. There might also be historical background, finishing instructions, etc. It is a wonderful and easy to try out techniques that might not be familiar to you. Contact: www.egausa.org to find a chapter in your area. 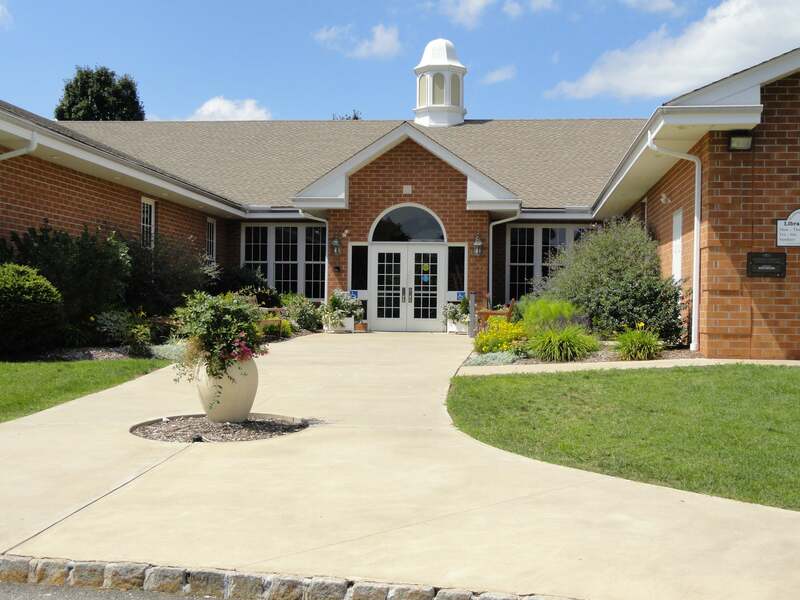 I joined the ARTMATTERS group at my local library, The Washington Township Public Library located in Long Valley, New Jersey. It’s a nice sized fine arts group based at the Washington Twsp. Public Library (Morris) NJ, and artists of all levels meet exchange ideas, and plan art activities. Most of the members are painters, and they will thrilled to have someone who works specifically in fiber. I explained, however, I just bought my first set of Acrylics and I want to try my hand at painting. I think I’m going to enter an orginal cross stitch design, of white floche embroidery floss on cream evenweave linen. It’s not too big and I could probably whip it out in a week or so. I’m going to have to check out to see if I could find white and off white variegated threads. That might look terrific on a creamy or ice blue background. Maybe I should just stitch white on white? What do you think? I was lucky enough to take a short workshop at the Hunterdon Museum in Clinton NJ a few weeks ago (the stone building on the right is the museum) that combined embroidered lettering and poetry with artist, Iviva Olenick. Iviva and Hunterdon Poets, Kasey Jueds, Vasiliki Katsarou and MaryAnn Miller led this very special workshop that combined the art of embroidery with the art of poetry. The workshop was divided into four segments, starting with a brief embroidery lesson; followed by a poetry reading while participants embroider select words and phrases; a lesson from the poets on drafting personal verse; and finally, participants embroidering their own poems. Participants may also embroider imagery. At the end of our stitching we were given 10-15 minutes to create an original poem to read to the group (GULP). Well, girl, I ain’t no poet but other than reciting ‘Mary Had a Little Lamb’ I had to come up with something quick. So I allowed the angry creative to spring forth . . .
Well, lucky you. We only had scraps of paper to write our poetry on and I’m guessing I must have (for the first time in my entrie unorganized life) trashed the scrap of paper along with the poem I had written on it. Now, fall on your knees and thank the gods that you have been spared. On November 16, there will be a poetry reading/workshop held at the Hunderton Art Museum, led by one of the poets who presented at the embroidery workshop, Vasiliki Katsarou. Vasiliki invited me to come after our stitching, and I committed, forgetting that I have to give a lecture that evening. I could make both with no problem but for that darn dialysis. Maybe I’ll look for a private space I can use for about a half hour, between the workshop in Clinton and the lecture in Frenchtown? Mr. Electric’s SECOND book, “Who Am I?” has finally launched and is available in bookstores (local and big box, like Barnes and Noble, Amazon, etc.) and other booksellers (even Wal-Mart, etc) around the country! If you would like an autographed copy of his book (personalized to you or yours) order yours here: http://bit.ly/2nI6Rj6 Who Am I? is the follow up to his first book, Who Broke the Vase? A rabbit pretends to be every other animal—pig, owl, tiger, mouse, frog—anyone but who he is really is, in this imaginative and inventive story. Jeffrey Turner, the author and illustrator of the witty and wonderful Who Broke the Vase? returns with a story about a rabbit who believes he can be anything he imagines. But when he meets a bat hanging upside down from a tree, he finds out he’s not the only one who thinks that way! Here’s a little inside . . .
And hold on . . .
Why not write your story? Just write a little every day and complete a novel by the end of November. I’m going to work on my memoir. On our FaceBook Live I posed the question: Just how ‘intimate’ should I get? What say you, kids? I will be speaking at the Courthouse Quilters Guild in Frenchtown, New Jersey on November 12 at 6:30 PM. It’s kind of my local guild, and I’m planning on joining this year just to hold me accountable and I may get some quilting finished. I’ll be presenting my lecture on The Slow Stitching Movement. I picked up a copy of the new Just Cross Stitch Ornaments issue. I have every one every published. Decades worth, and I have yet to make any ornaments. While there are always several designs I would like to stitch I wish I had for my tree, I have yet to ever stitch one. That doesn’t mean that I don’t love the magazine and devour every one. Maybe I’m getting old, maybe I’ve turned the old hound corner, but this isn’t my favorite issue in the bunch. I think it’s less about the actual ornaments, and more the art direction that turns me off. Where’s the vibrance? The color in a lot of the pieces (and that’s what you’re selling, guys) is washed out. The ‘cool’ light or white backgrounds do nothing to help the ornaments pop so they look bland and grey. On the display page, like the JOY TO THE WORLD section, the rich green with the light ornaments pop the designs and adds to the homey, warm, holiday feeling. The same is true of HAVE YOURSELF A MERRY LITTLE CHRISTMAS spread, although it’s a textured white, the background doesn’t distract from the ornaments although the color is wiped out in several of the examples. I also love to see the photos of the individual ornament designers, along with a short paragraph about how they spend the holiday and their favorite holiday recipe. I’ve found some great designer family recipes over the years. Maybe next year the art director will shoot individual, well-lit, saturated color images of each ornament, then Photoshop the individual pieces onto the background? Anywhoooo, not my problem. And collectors of this issue will buy it anyway. I know that will. It’s a $10-buck magazine. You can grab a copy from your local stitchery shop or contact Deb at the independent shop Stitches n Things in Michigan and her mail you a copy. Leafing through my copy of Better Homes and Gardens, I stumbled across a project page for 3 different 3-D Felt Pillows! None of them are difficult to make and they all look really fun. I especially love the folded then sewn example. Sorry, I can’t just give you the information because it’s under copyright, but head to your local library (they ALL seem to carry BH&G) and grab the September 2017 issue. The DIY article and DIY tutorial begins on page 76. You know, I thought BH&G became really tacky several years ago and wasn’t worth the scratch they were charging for it. Something’s changed and I have found lots of inspiration for both quilts and needlework in their pages – only it’s $3.99 now. Subscribe. You can get a year’s worth for like $5-$7 bucks. Holdout for a special rate. Thank you, thank you, Janie Z Bowman for the amazing Greek cookies and breads! ← Piece a Watermelon Quilt! Macrame a Wallhanging! Make your own Sewing Labels! DIY Rug from a Garden Hose! Make an Insulated Mason Jar Bag! Learn How to Dye with Flowers! DIY Butterfly Sculpture Under Glass! Free eBook! Paint Textured Roses! Recycled T-Shirt Bracelets! Appliqué an Heirloom Lap Quilt! Petal Enhanced Yarn! 3 Lavender Cross Stitch Charts to Stitch! Knit a Belted Tunic Dress! Put a Message on Your Door Mat! Embroider Vintage Images! Sun Dye on Fabric! It’s Time for Pinecone Elves! PLUS . . . Recipes, Videos, Inspiration, Creativity, Ideas, and More! Thank you Mark for posting your latest blog. I often wonder how you are faring and now I know that you are doing well and your sense of humor is intact and as well as you ability to gather and share all kinds of good info! Enjoy the fall. Hi Mark – Thank you again for all the laughs and inspiration. I used to make apple pies and would put shredded cheddar cheese in the crust. Just a thought and I have picked up cross stitch again after seeing a kit for a Thistle needle case in Edinburgh…… Take care of yourself. Love hearing from you. Your brilliant and have a great sense of humor. Praying that a donner will be found. Your amazing. I let my subscription to BH&G lapse, too. To me, it seemed like they were recycling articles among their many “specialty publications” and relying too heavily on internet bloggers for content. Why buy a magazine if you can read the blog on the internet? I could try again, but I think my tastes have changed too much. I let BHG go too a few years back. Just got bored I think. But I sure love these newsletters and I will try and get on for the Live. You always find the most interesting things for us to check out. Hi Mark! I also love reading your wild and fun posts. I hope you find a match soon! I always loved the Quilts in the Mill show – have fun. I’d come but its too far from CT. So happy to see that you can go see my friends in Frenchtown. I was a member of that guild while I lived in Pittstown. Say hello to them from me. I miss them even though I have been gone for nearly 14 years. They are a great group. If you have never gone to their quilt show at the mill, you have missed a great one. I am always so happy when I find a “Live” waiting for me! I never get to see them live for some reason, but I do get the notifications that they are waiting for me. I knew that you must be feeling poorly, for lack of a better description, because you had not been on for so long. I’m so glad to see that you are doing better. I love your irrepressible humor in the face of adversity and the fact that you live your life, not exist in your life. Much love to you and Jeff. Love seeing all the needlework and your enthusiasm for it. I too am a devotee of the Cross Stitch Christmas Ornament issues and I too have not made a one. I also have a collection of the Better Homes and Gardens Christmas needlework hardcover books going back many years. I enjoy just paging through them and imagining all that can be made. Thank you. When I watch you I feel like I’m watching Romper Room and I wait anxiously for you to mention my name! haha! Love you both and love your ‘live’ events! All the best to both of you! Mark… so glad you are looking and feeling better!